Ask any seasoned traveler and they'll tell you the most aggravating time when traveling is moving from city to city (packing and re-packing, long waits in bus stops, lugging heavy baggage, etc.). This difficulty is nothing compared to crossing international borders. You always have to be vigilant against scammers who see you as a lunch meal, not to mention delays and lugging heavy packs with you. And if you cross the border at night, good luck. I had a series of mishaps on this particular passage. With my Cambodia visa expiring, I had to leave Cambodia and head for Thailand again (I came from Thailand before coming to Cambodia). From Siem Reap, I was off for Chiang Mai - a daunting 2-day trip. I thought I had myself covered enough - bought the bus ticket, researched on bus and train schedules, booked a room in Chiang Mai, even had a Plan B, etc. I felt confident, I even scheduled a lunch meet up in Rongklaur (Thailand border town) with my Thai friend, Kansuda. But life offers no guarantees despite prudent measures. 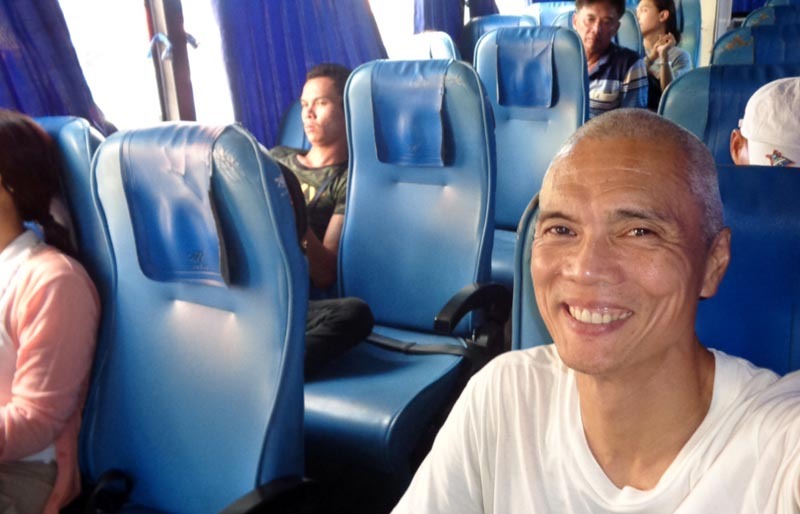 From my research, I decided to take a bus from Siem Reap to Poipet ($6, 3 hours), cross the border on foot, meet Kansuda on the Thai side in Rongklaur and take the casino bus that would drop me off in Mo Chit in Bangkok ($200 Baht, 7 hours), where I board the #51 non-aircon sleeping train for Chiang Mai (Baht 271, 14 hours). 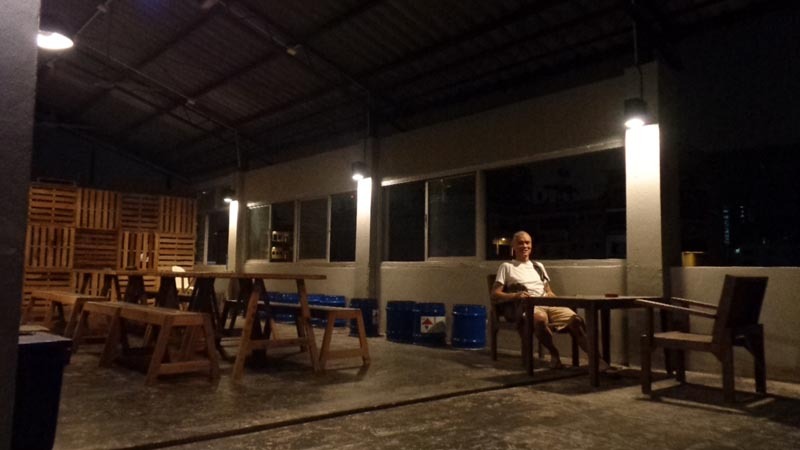 In the remote chance I miss my train, I could stay at Adventure Hostel where I could use my room credit - this was my Plan B. I would wake up in Chiang Mai the following day - this saves me the cost of one night lodging. Upon arrival in Chiang Mai train station, I would then walk to the main road and hail a cab for Baht 50 (instead of paying B100 if inside the train station) to my hotel which I booked online. Voila! I would be set for Chiang Mai. At least that was the laid-out plan. The bus from Siem Reap to Poipet (Cambodian border town from Thailand) stopped at numerous hotels picking up passengers. This delayed my time schedule by an hour. At the border, there was a very long line at the Thai Immigration. This ate up 2 hours! By the time I crossed the border to meet Kansuda, it was already 2pm - I was 2 hours late and she wasn't there anymore. The whole time from Siem Reap, I met a Korean lady, Yoon, who was also heading to Mo Chit. We decided to travel together. We took the 2:15pm bus from Rongklaur to Mo Chit (B203, 7 hours). It stopped on all towns. By the time we got to Mo Chit, it was already 9pm! 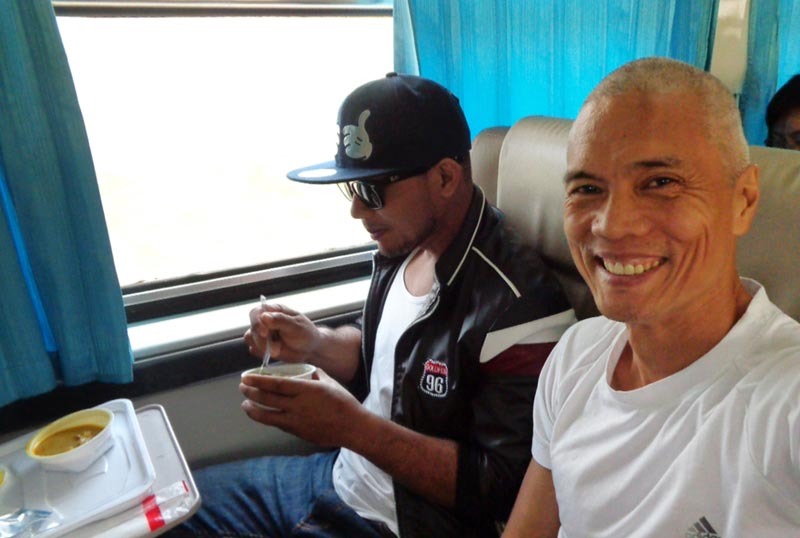 It was the longest Siem Reap - Bangkok ride I ever had! Yoon and I separated at Mo Chit. I thought the bus would stop at the Mo Chit BTS train Station but that was not the case. Apparently, I still had to take another bus to get there. That curve ball took me for a panicked spin. I took the bus, then the MRT train for Bang Sue to get to the train station for Chiang Mai. Great! Or so I thought. The train ticketing office told me that the train was full because of the Songkram holidays. 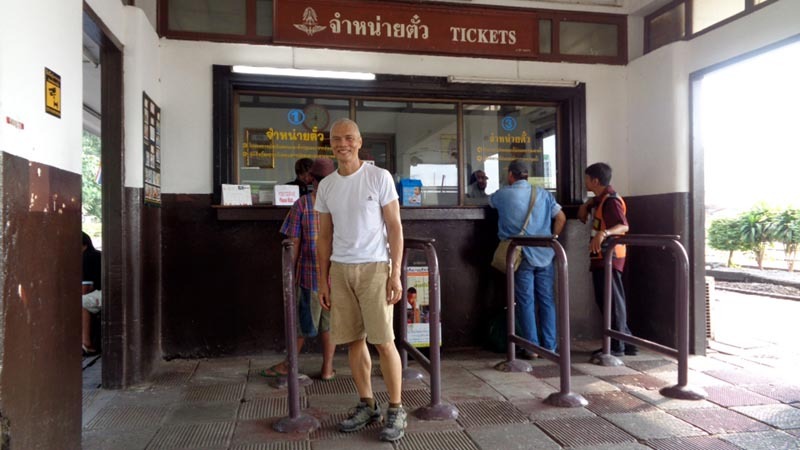 I could still ride the train but I would have to stand up the entire 14 hours all the way to Chiang Mai! No way. It was already 10pm, I had been on the road for 14 hours. I was tired and exhausted, and the last thing I wanted was to stand up another 14 hours on a train. Instead, I pre-purchased the train ticket for the following day, lest it be full again. But it was a luxury train (#7 Train) that was more expensive - B 638 (compared to the B 271 for the #51 train). At least I still had my Plan B - go to Adventure Hostel and sleep there using my hotel credit. As Murphy's Law would have it, hostel reception was closed - it closes at 10pm, and it was nearly midnight. Where do I sleep for the night? I had no internet and I didn't know any hotel in the area! As I was fumbling, the hostel receptionist, Zelong, miraculously showed up outside the hostel! Somehow, she had to do some odd shopping and had to come back to the hostel. Yeay...the day is saved! Not really. They were full, again, because of the holidays. Where do I sleep? This is where Zelong went the extra mile for me. 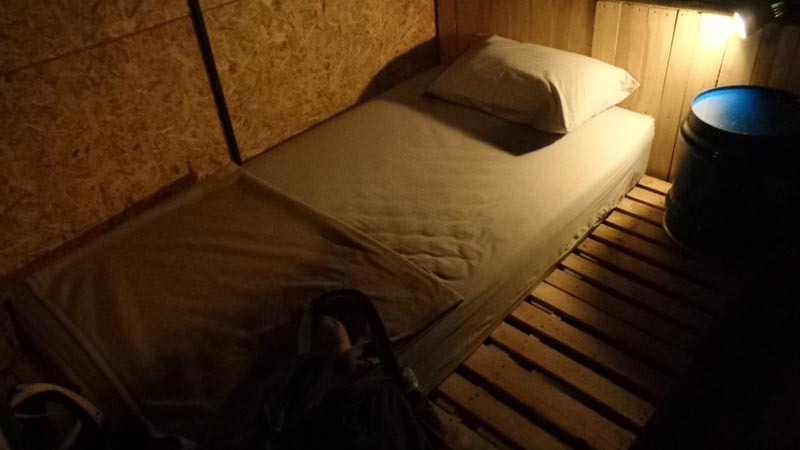 She called up a few hotels in the area until she found one - B 400 for a dorm bed at A Hostel! It was too pricey for me, but I was already desperate. I was only too glad there was a place I could rest my weary body for the night. Without Zelong's help, I would be clueless where I could have ended up that night. Not to leave things to chance, Zelong even walked me to A Hostel - close to a kilometer in the dead of night! Thank you Zelong! You are a life-saver! 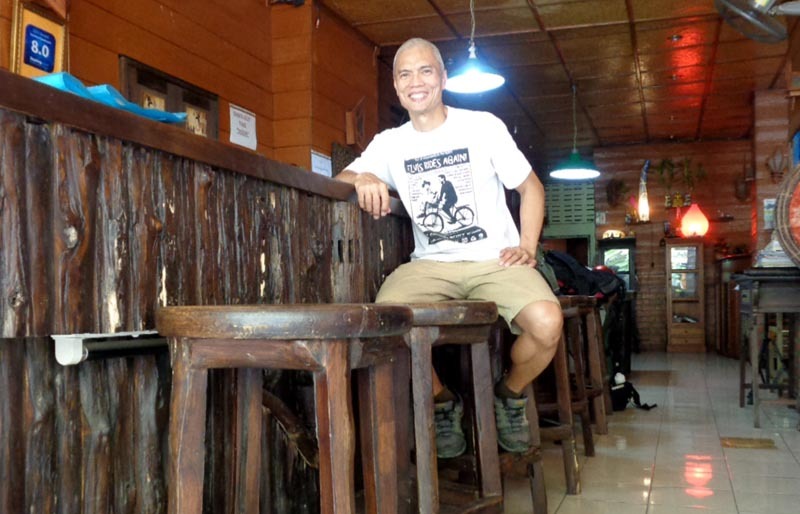 This will be my shameless plug - at Adventure Hostel, the staff go the distance for you! A Hostel was modern with a chic-industrial flavor to it. The dorm bed was practically a private room with compartment for a full bed (not a bunk bed). Lodging included coffee/tea and water. They had an open roof deck for guests - dining, chilling, view, etc. 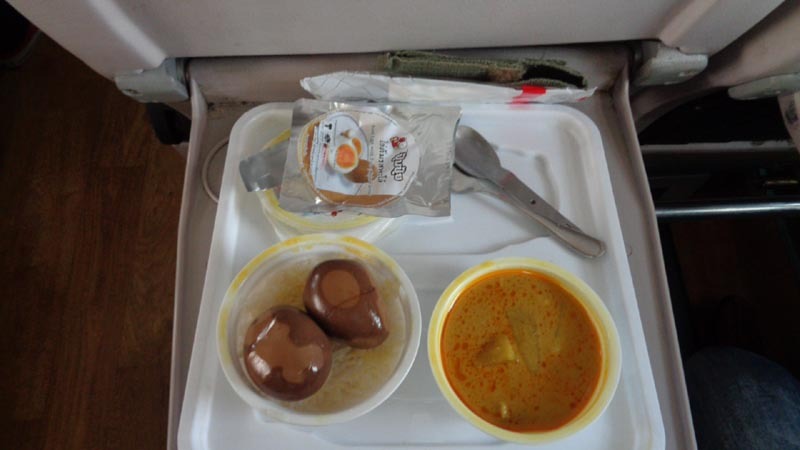 Early the following day, I took the #7 train for Chiang Mai. The trip was supposed to take 10.5 hours, but it stopped for a long time on a few stations creating a 2 hour delay. It was already 9:30pm by the time we reached Chiang Mai. The transport option to reach my hotel was the red taxi at B100. I haggled to bring the price down to B50, on condition that I never tell the other passengers about it. I reached my hotel at long last. I thought all the worries and problems were way behind me. I could now relax and take it easy. NOT! I realized I left my passport at A Hostel in Bangkok! I wanted to flush myself in the toilet. I was frantic and messaged the owner of Adventure Hostel, who has since become a friend. His next message was, "I have already secured your passport. It's with me now. Where do you want me to mail it to?". Yes, there is a God! And his name is Chainiwat! This entire episode is classic Murphy's Law. What could possibly go wrong, did go wrong. It was odd. In Siem Reap, the abundance was outpouring. En route to Chiang Mai, it was the exact opposite. Was my benevolent universe giving me a message not to push through? Well, too late. I'm already here. I would have gone crazy if not for the selfless assistance of Zelong and Chainiwat, both from Adventure Hostel. I cannot thank them enough for going the distance for me. 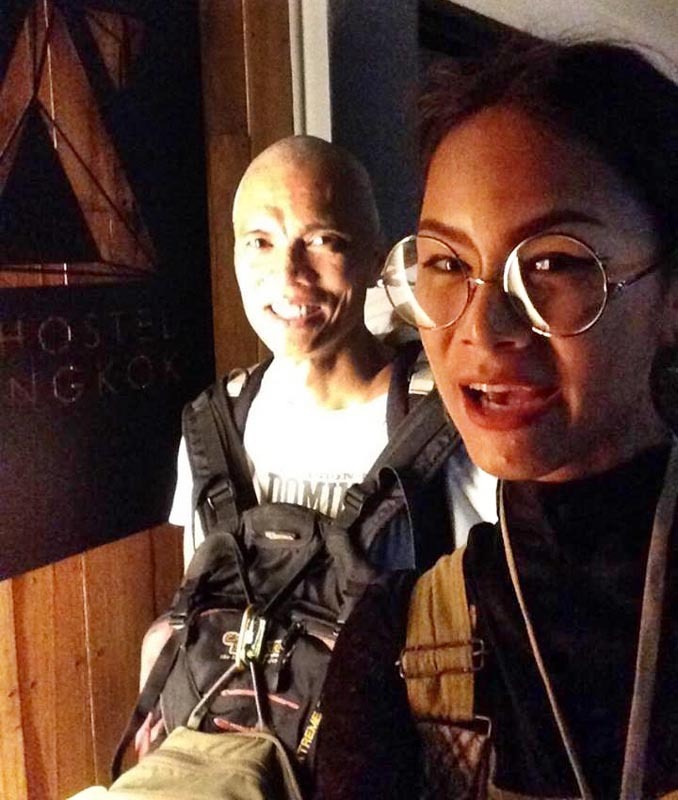 If you ever visit Bangkok, you'll be in good hands if you stay at Adventure Hostel. (Apr 18, 2016) Really appreciate it, Gigit - the blogger from thelonerider.com, for your mention about our staff in your blog. Hope to have a chance to welcome you at our hostel next time. (Apr 3, 2016) What an adventure! (Apr 3, 2016) Careful wth ur cash wen u hop on the night bus going to bkk... they're sooo good at it..